Of the cancers affecting both men and women, colorectal cancer is the third most commonly diagnosed cancer and the second leading cause of cancer death in the U.S.
Each year, approximately 140,00 people are diagnosed with colorectal cancer and close to 50,000 people die from it. 1 in 20 people will develop colorectal cancer in their lifetime. The risk of developing colorectal cancer increases with age. 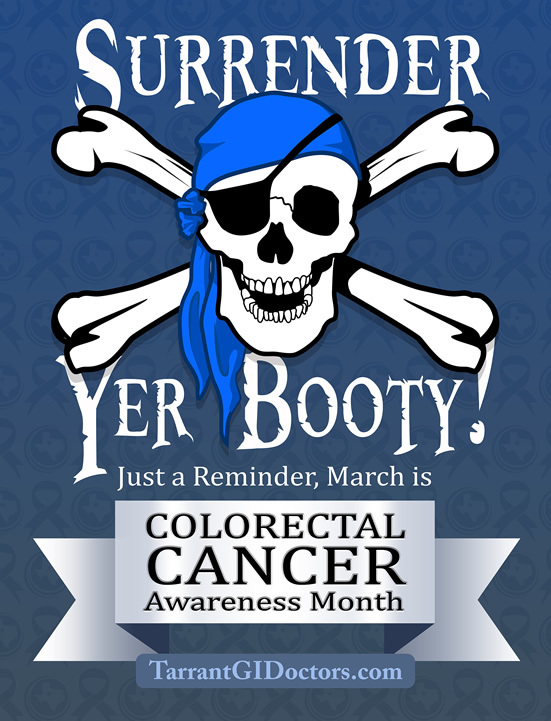 More than 90 % of colorectal cancers are diagnosed in people 50 years of age and older. Colon polyps and colorectal cancers often present with no warning symptoms. So, even if you are feeling “well”, you still need to get screened. Despite the ease and efficiency of today’s screening tests, 1 in 3 people are still not up to date on their screening exams. It is estimated that approximately 60% of colorectal-related cancer deaths could have been prevented with adequate screening exams. If you are due for a screening or surveillance colonoscopy, call us today to schedule your procedure. We look forward to hearing from you! As gastroenterologists, we here at Northeast Tarrant Gastroenterology Associates have come to understand that we are not the most popular guys in the world. We understand that most of you would rather be anywhere else on earth than sitting in the same room with us. We see your sideways looks, arched eyebrows and defensive postures when we attempt to discuss the benefits of screening colonoscopy with you. We hear the apprehension and hesitation in your voice as you reluctantly answer our questions. The truth of the matter, however, is that we’re not here to hurt you. We’re actually here to help you. Did you know that colorectal cancer is currently the third leading cause of cancer in the United States, as well as the second leading cause of cancer-related death? Did you know that colorectal cancer frequently presents silently, without any warning signs or symptoms? Did you know that many of the reasons that people use to delay or avoid the procedure are inaccurate? Did you know that with appropriate screening, colorectal cancer is considered not only a potentially curable disease, but a preventable one too? For various reasons (bowel prep, invasiveness, discomfort, cost, etc…), screening colonoscopies are not likely to be found on anyone’s “bucket list”. The truth of the matter is that many of the excuses that people use to avoid the procedure are just that - excuses. The bowel preps that are available today are typically lower in volume and have a much-improved taste when compared to the preps that were used as recently as 8-10 years ago. Yes, the procedure is invasive, there is no arguing that. Its invasiveness is also one of its benefits, however, since most lesions can be taken care of during the actual procedure. Regarding discomfort, there really shouldn’t be any. With the improvements in sedation over the past few years, the procedure is typically painless. In fact, most patients sleep through the entirety of it. As for the cost of the procedure, many insurance companies now consider routine screening colonoscopies to fall under the heading of “preventative healthcare”. This means that some insurance companies pay up to 100% of the cost of the procedure; thus, eliminating excessive medical costs for the patient. Overall, colonoscopy is an excellent test when it comes to screening for and preventing colorectal cancer. Screening colonoscopies can help identify cancers at early and potentially treatable stages. They can also be used to help prevent the development of colorectal cancer by identifying precancerous growths (polyps) which can be easily removed during the procedure. For most people, colorectal cancer screening begins at age 50. In individuals who are at an increased risk (i.e. individuals with a family history of colorectal cancer), however, the screening process starts at an earlier age. So, with all of that in mind, what’s stopping you? Do yourself a favor and get checked. We look forward to meeting you… even if the feeling isn’t exactly mutual. 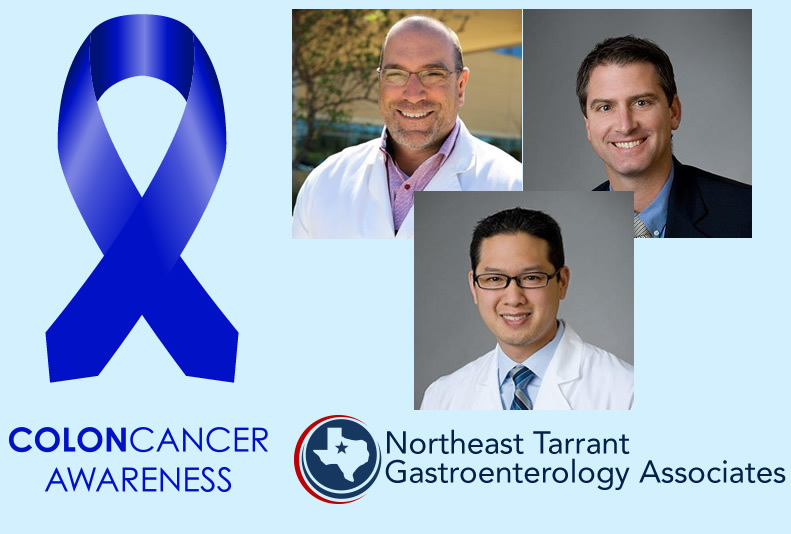 Northeast Tarrant Gastroenterology Associates is comprised of Dr. Mark Murray, Dr. Eric Hill and Dr. Bryan Ong. They are all board-certified gastroenterologists who are also members of Digestive Health Associates of Texas (DHAT). They have two convenient office locations in Northeast Tarrant County (North Richland Hills and Ft. Worth) to serve your gastroenterology needs. They offer specialized services supporting the full spectrum of digestive healthcare, including screening colonoscopy. 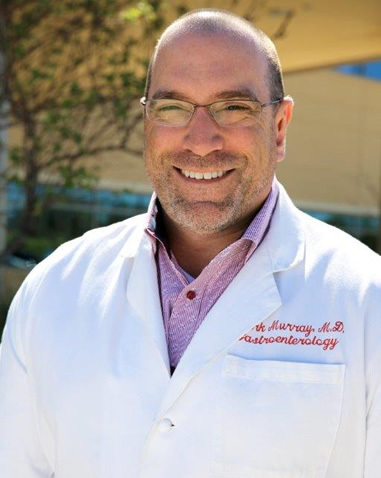 Dr. Mark Murray earned his undergraduate degree at Texas A&M University and his M.D. degree at the University of Texas Health Science Center at Houston. He completed his internal medicine residency training at the University of Arkansas for Medical Sciences. He received his gastroenterology fellowship training at St. Louis University. 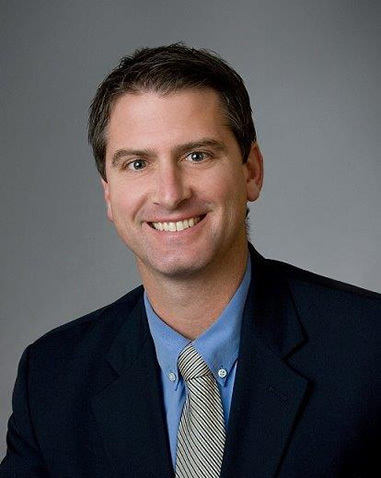 Dr. Eric Hill earned his undergraduate degree at Baylor University and his M.D. degree at the University of Oklahoma. He completed his internal medicine residency training at Vanderbilt University. He received his gastroenterology fellowship training at the University of South Florida. 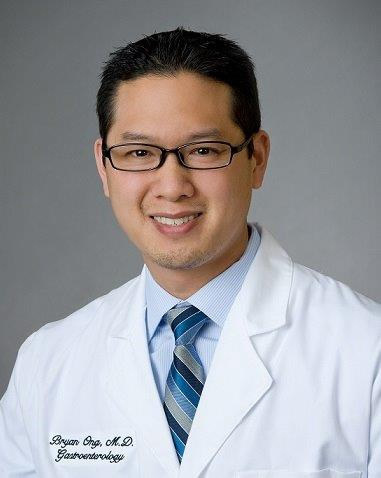 Dr. Bryan Ong earned his undergraduate degree at Duke University and his M.D. degree at the University of Texas Southwestern Medical Center in Dallas. He also completed his internal medicine residency training at the University of Texas Southwestern Medical Center in Dallas and received his gastroenterology fellowship training at the University of Oklahoma Health Science Center.